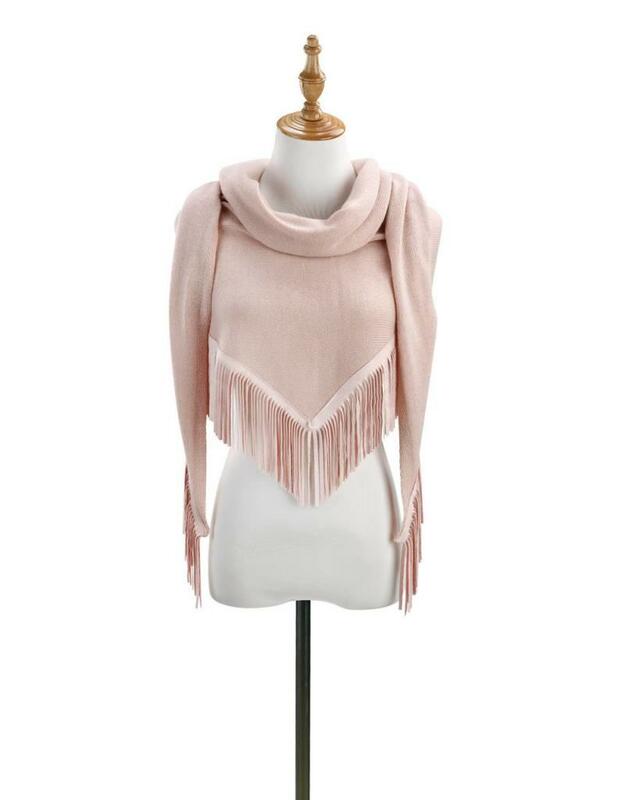 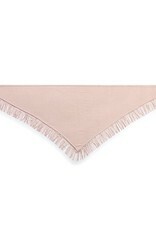 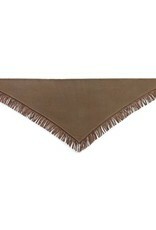 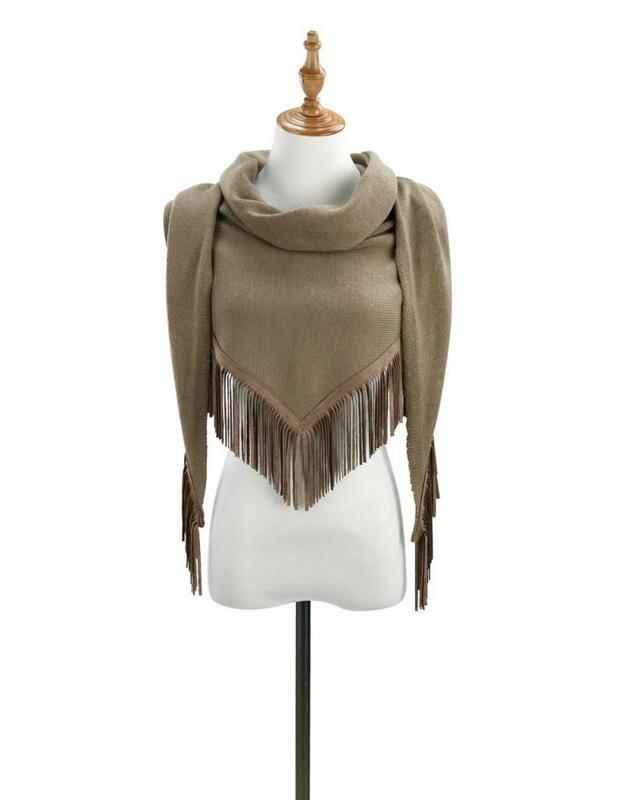 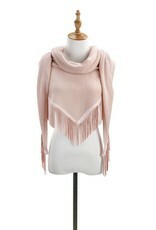 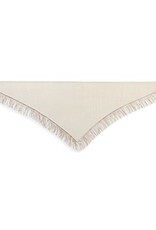 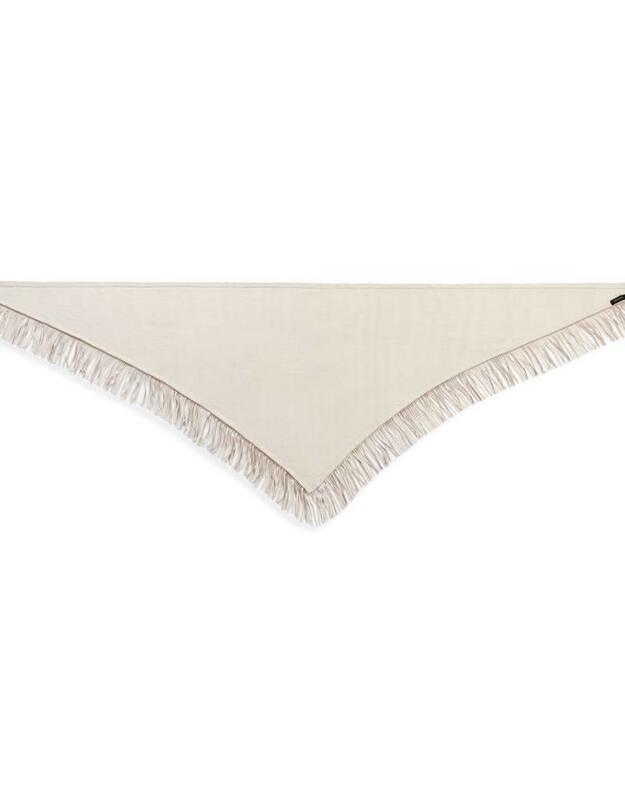 This trendy faux suede trim apparel features fringe and a timeless design. 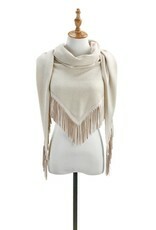 Great as a gift or for your own wardrobe. 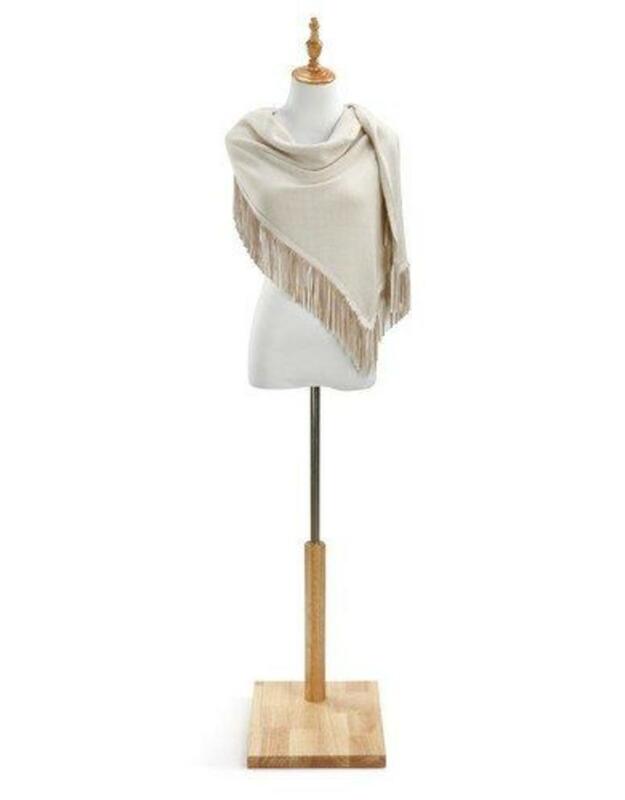 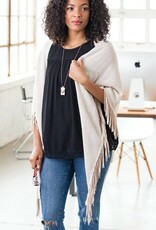 The perfect accessory for layering and one size fits most! 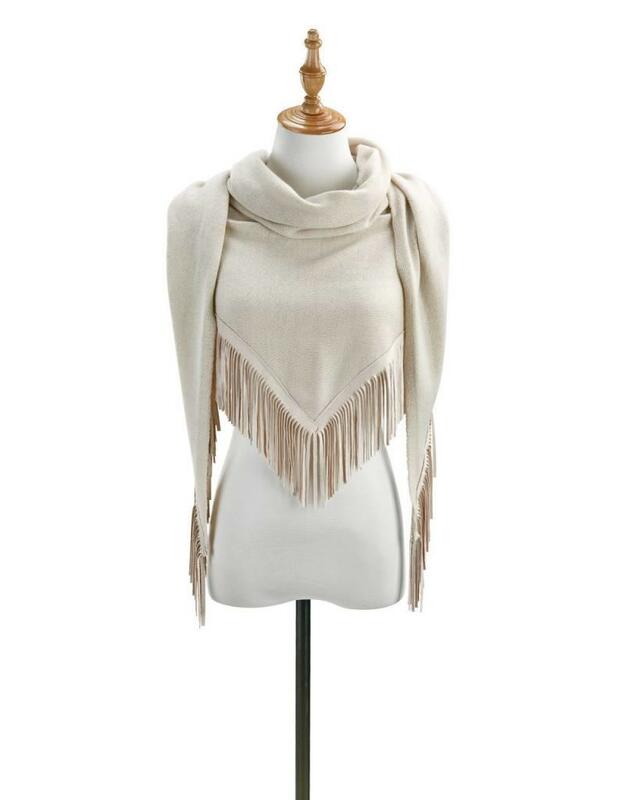 A memorable and cozy way to let a friend know they're on your mind! 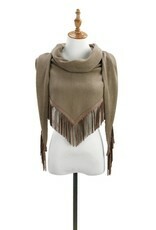 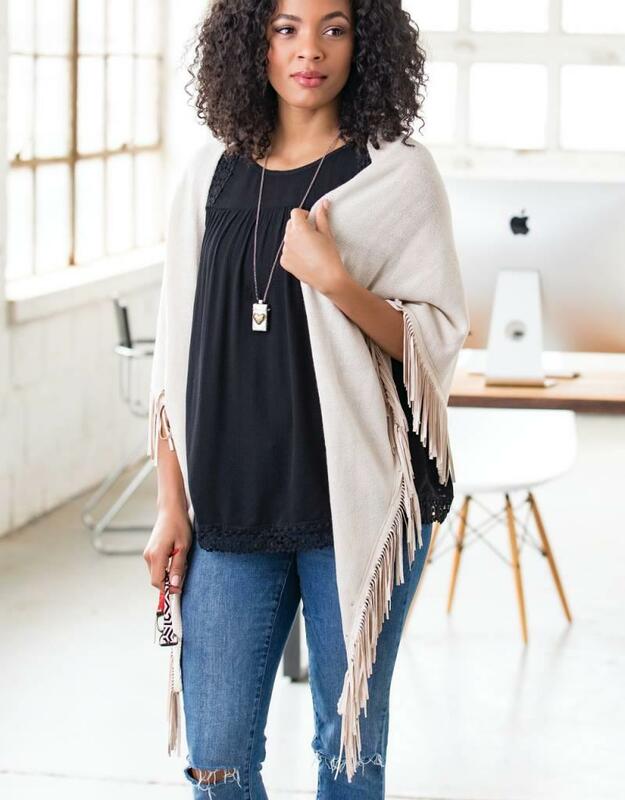 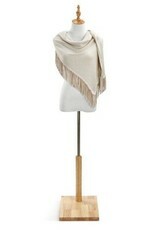 A lightweight knit item for all occasions and seasons, this triangle scarf is a year-round fashion piece.